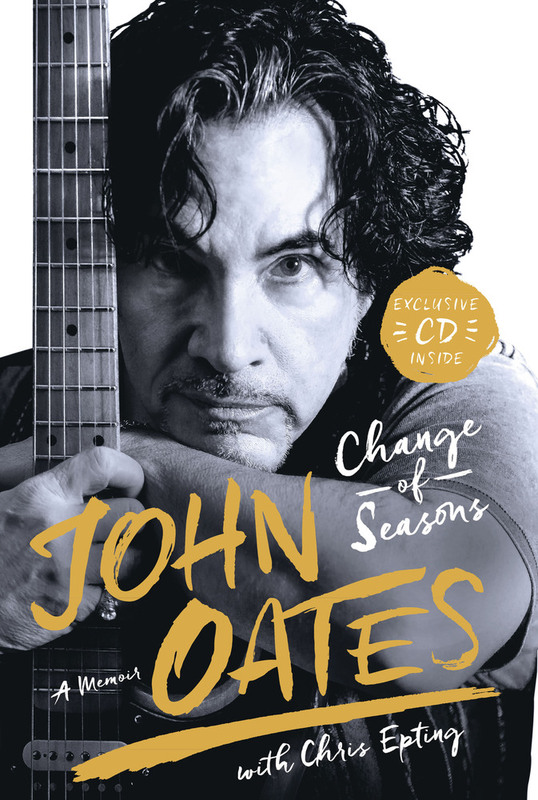 About Change of Seasons: John Oates was born at the perfect time, paralleling the birth of rock and roll. After he met and teamed up with Daryl Hall in the late 1960’s, they developed a style of music that was uniquely their own. They are the most successful pop duo in the world and members of the Rock & Roll Hall of Fame. And yet John’s story has never been told. Relying on his many handwritten journals, he brings to light many fascinating stories, ranging over his entire life, with a journalist’s eye and a poet’s heart. In Change of Seasons, John shares his highs, lows, triumphs, and failures. He takes the reader on a wild ride through all the eras, personalities, and music that have shaped him into who he is. John Oates is one half of the best-selling duo of all time, Hall & Oates, as well as an accomplished solo artist. A member of the Rock & Roll Hall of Fame and the Songwriters Hall of Fame, Oates embarked on a long-awaited solo career in 1999. He has since recorded five solo albums and the 2015 DVD docu-concert Another Good Road. Inﬂuenced by R&B and folk music while growing up near Philadelphia, he was named a BMI Icon in 2008 and founded the 7908: The Aspen Songwriters Festival in 2010. In 2016, Hall & Oates received a star on the Hollywood of Fame. Daryl Hall and John Oates recently embarked on a U.S. tour last summer. Maneater (Live) performed with the Sam Bush Band and mixed by David Kalmusky @ Addiction Sound Studios. (p) 2017 PS Records, a division of Jasper Productions, Inc. Unauthorized duplication is a violation of applicable law. All rights reserved. NOT FOR RESALE.